The feedback on this one has been EXCELLENT! Many thanks to all who took the time out to email us:) We truly appreciate you! This super concentrated cream is great for moisturizing, softening, conditioning, and gently cleansing coils without stripping. 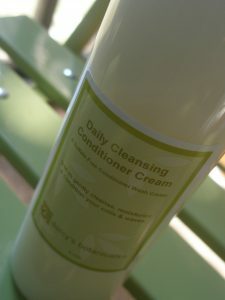 Our low-lathering recipe can also be used as a leave-in as well. I am really happy with the response received thus far! Many of you have already gotten to test and sample these throughout the year with your orders. This is a slightly modified version of the ones we debuted at the World Natural Hair Show in Atlanta:) I changed the scent and added more nourishing extracts. This super concentrated cream is great for moisturizing, softening, conditioning, and gently cleansing curls without stripping hair. Apply a few squirts to wet hair as though you are shampooing. Use fingers to gently massage our low-lathering conditioner throughout scalp. Then rinse and repeat as needed. After final rinse, you can apply a small amount throughout hair as a leave-in and style accordingly. *Can also use a small amount as a leave in.